DWTS Season 13 Rumors Out of Control – Hulk Hogan says No? 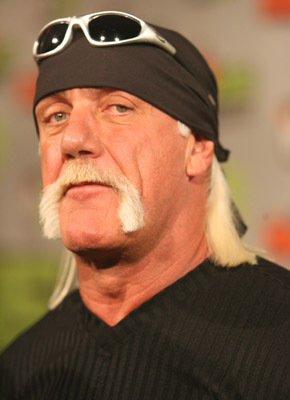 According to our set insider, Hulk Hogan has been top on ABC’s list for some time, but he keeps saying, “NO!” Apparently, they’ve had discussions to ask his daughter, Brooke Hogan, instead, but they hope the 58-year-old pro wrestler eventually decides to do the show. Not everyone in the cast is set in stone yet (except Rob Kardashian and Christina Milian), but time’s ticking down: ABC will announce the official cast during an episode of Bachelor Pad Aug. 29. Season 13 kicks off Sept 19, which is only a month away! But she is a good dancer, she says. 🙂 Apparently she saw twitter explode. Between Derek saying he’s coming back and the TMZ rumors, my tweetdeck is hosed. Then Jason Priestly tries to talk her into it…. Wow, the news for Dancing With The Stars is non-stop today! 🙂 TMZ is now reporting that show sources have told them Queen Latifah, Snooki, and Tiffani Thiessen are dancing on Season 13 of Dancing With The Stars. Rob Kardashian as well as TMZ reported earlier. More below…. Queen Latifah and Snooki will sign on to do the next season of “Dancing with the Stars” … sources connected with the show tell TMZ. MF Magazine has a great new interview up with Dmitry Chaplin. He talks of his experiences on So You Think You Can Dance and Dancing With The Stars and how much he has learned from each of them. Of Dancing With The Stars, he described it “as one of the most exciting and memorable experiences ever!” He hopes to come back as a “regular pro” for future seasons. All this and more below. Be sure to read the link for the full story for what he says on fashion and how he keeps in shape, etc. Okay, let’s move back to your performances. Tell me about your days on Dancing With The Stars. I really enjoy my experience on Dancing With The Stars because not only do I get to meet and dance with different celebrities, but I find the whole process from putting the choreography together and teaching your partner to dance, picking the music, costumes, and then performing live in front of 22 million people every night as one of the most exciting and memorable experiences ever! This show has made an incredible impact on people around the world and changed the industry completely! I received some very touching emails from people around the world telling me how watching us dance has made a huge impact on their lives and that dancing has given them a new hope and inspiration! Wow, that’s awesome. Ya think any more seasons on the horizon for you after this past one then? I hope that I get a chance to come back to the future seasons as one of the regular pros on the show and that I can continue to enjoy my dancing career as I’m doing it now! Was your schedule strenuous and exhausting though? How did you balance your personal life and other obligations during that time?